If your diet is lacking in enough nutrients, adding a smoothie to your diet can help immensely. Toss any of these six ingredients into your next smoothie along with your favorite fruits to get their nutritious benefits without sacrificing taste. Broccoli. The fiber-rich vegetable helps keep you full without changing the taste of even your favorite smoothie combinations. You can use raw broccoli or steam it quickly first for a smoother consistency. This 330-calorie peanut butter, broccoli, and strawberry smoothie will keep you full throughout the morning. Chia seeds. If you're looking to start the day right, add a tablespoon of chia seeds into every smoothie. The high-fiber seeds are also a great source of anti-inflammatory omega-3s, so you'll feel full and ready to take on your morning. This berry chia seed smoothie recipe masks the taste and texture of chia seeds if you're not a fan. Green tea. Want a little energy boost in your smoothie? Add strong, cold green tea to any smoothie instead of water for a subtle caffeinated pick-me-up. We like the refreshing taste of this green tea, cinnamon, and honey smoothie. Flax seed. For a smoothie that's got heft, add some flax seeds to the mix. High in omega 3s and fiber, adding flax to your diet helps promote bone health, lower cholesterol, and keep your digestive system healthy. The healthy fats in flax seeds also help relieve inflammation. Add a tablespoon of ground flaxseed to your next smoothie; you can make this overnight flaxseed, apple, and cinnamon smoothie ahead of time so you can grab and go in the morning. Leafy greens. 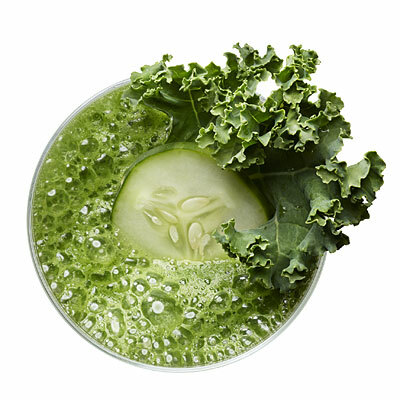 If you hate the taste of kale or spinach, adding a cup or two to your morning smoothie is the way to reap their many health benefits; once blended with the rest of your smoothie, the taste is imperceptible, but you're still getting a hefty portion of crucial nutrients like calcium, vitamin A, manganese, and vitamin K. Choose your favorite leafy green for your next smoothie with our comparison of the nutrients in kale and spinach. Coconut water. Not a banana fan? Adding coconut water to your morning smoothie helps you get the electrolytes you need to feel energized and bloat-free. We love this debloating papaya, pineapple, and coconut water smoothie for that very reason.